Find a romantic Valentine’s Day gift for her or him that your sweetheart will adore in this unique collection of Valentine gifts for him or her. 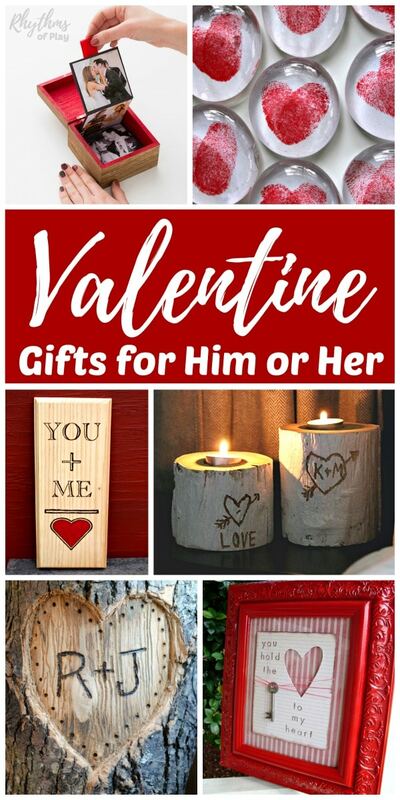 Valentines gifts for her or him are perfect for Valentine’s Day, of course, and they also make great gift ideas for Christmas, an anniversary, a wedding, or a birthday. If you are looking for Valentine to make with the kids for loved ones check out Unique Unique Valentine Gifts Kids Can Make. Just like this collection of Valentine gifts for him or for her, they aren’t just for Valentine’s day… They make great gift ideas for her or for him year round! Handmade gifts for your sweetie or significant other add a special touch that you just can’t buy. 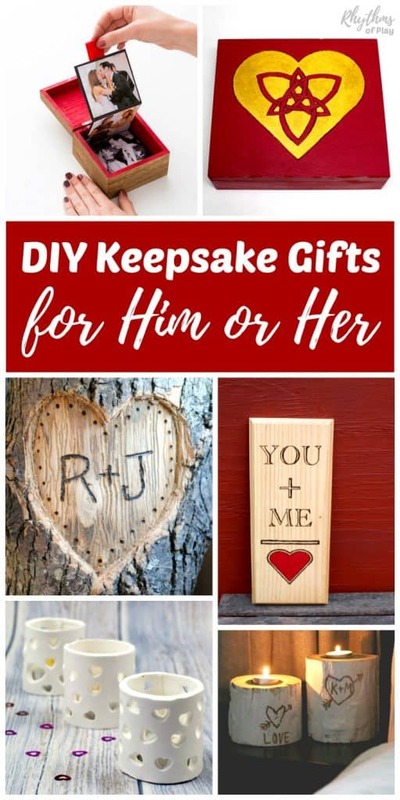 Try any of the homemade DIY Valentine gifts for him or for her listed in the unique romantic valentine gift categories listed below. Not the crafty type? We have also included a few Valentine’s Day gift ideas for him and Valentine’s Day gift ideas for her that you can find on Amazon. If you click to purchase, this website may earn a small commision with no cost to you. Click on the designer that created each unique Valentine gift for him or for her to see the full DIY tutorial. Personalized photo gifts for Valentine’s day are always a hit with him or for her! Try any of the DIY photo Valentine’s Day gift ideas below. Make any one of these homemade Valentine’s Day frame gifts to surprise your sweetheart this year. Write love notes and memories down in a special way with these unique DIY Valentine’s Day gift ideas! Candle holders are an easy romantic Valentine gift idea for him or her! 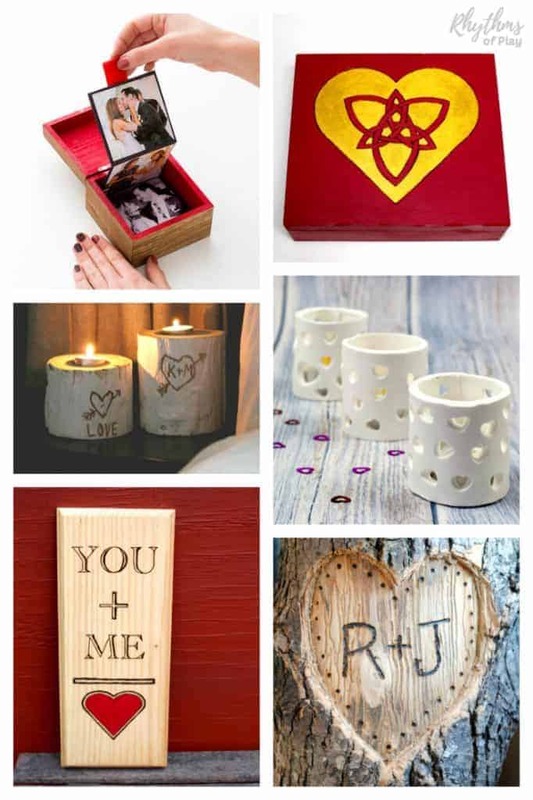 This romantic collection of homemade wooden gift ideas for Valentine’s Day can help you win her or him over! Simple, easy, and romantic Valentine mug gift ideas for her or for him. Try any of these unique Valentine gift ideas! Head over to have a look at all of the amazing fingerprint and thumbprint heart gift ideas for her or him. 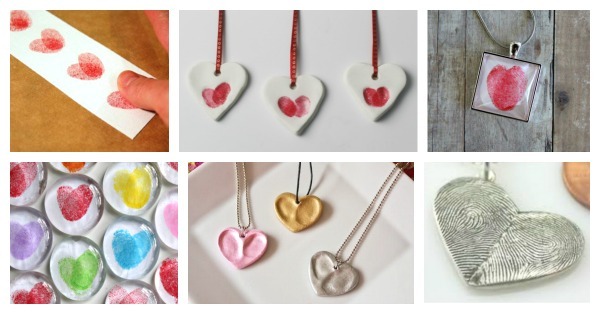 Our favorite homemade Valentine gifts are thumbprint heart magnets and thumbprint heart necklaces. 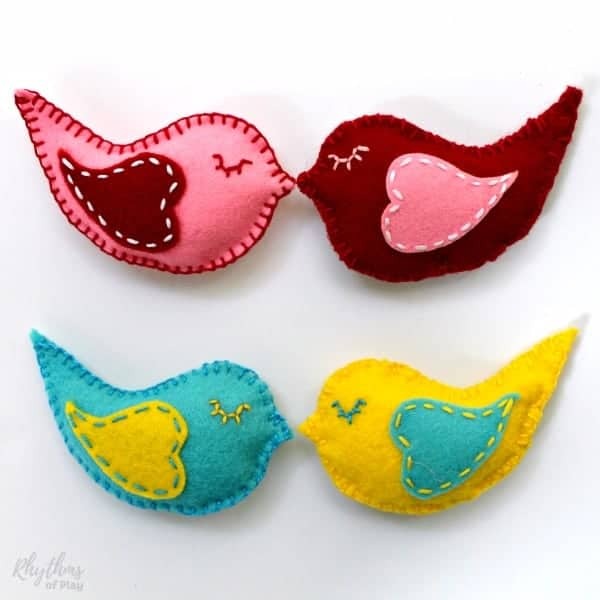 Sew a pair of sweet little lovebirds or one of these easy heart projects for your sweetheart this Valentine’s Day! We hope you like this collection of Valentine’s day gift ideas for him and Valentine’s Day gift ideas for her. This wonderful collection of valentine gifts for him or for her are not only perfect for Valentine’s day, they are also unique romantic gift ideas great for weddings, an anniversary, a birthday or Christmas! If you are looking for homemade Valentine’s Day gifts to make with the kids, have a look at Valentine Gifts Kids Can Make. Just like this collection of Valentine’s day gift ideas, they aren’t just for Valentine’s day. Valentine gifts kids can make are also great for Mother’s Day, Father’s Day, Christmas, or a birthday! If you are looking for DIY and ready-made gift ideas for the whole family click HERE! Gorgeous ideas, especially the wooden candles. I had so much fun curating content for this post. I love DIY projects for lovers! Just the things I was searching for so long. Thank You so much!